In common with many arts organisations in the present economic climate St George’s Arts is having to take a break for a while. We are immensely proud of our achievements over the past few years and so glad to have been able to work with the inspiring and interesting artists that we did. We would like to thank them for their hard work and the enjoyment that they and their work brought to St Georges. We would also like to thank our funders and supporters both organisations and individuals who have made the art programme of residencies, exhibitions and workshops since 2007 possible. Arts Council England, The R C Sherriff Trust, Elmbridge Borough Council, The Churches Conservation Trust, The Friends of St George’s, Surrey Arts, Surrey County Council, Surrey Community Foundation, a-n.
Veronica King, Lorretta Howells, Sam Thompson, Maggs Latter, Alison Clarke, Caroline Jackman, John Viger, Gill Barnett and all the volunteers from the Friends of St George’s Church, Gill Nason. The artists who have worked and shown at St George’s Arts, Jane Ponsford, Clare Rye, Louise Nason, Helen Scalway, Mary Branson, Rebecca Price, Roz Cran, Claire Reed, Janet Medway, Ann Varlow, Richenda Court, Peggy Cozzi, Wendy MacMillan, Tracey Kershaw, Debi Retallick, Susan Francis, Jean Thompson, Sophie Morgan, Zita Saffrette, Sonja Benskin-Mesher, June Gillert, Kasia Depta-Garapich, Lulu MacDonald and Maggie Rose. I’d like to thank Rebecca Price who so ably took on the role of Director and Exhibition Organiser at St George’s during 2012. Looking forward, I hope that the visual arts will flourish again at St George’s Arts in the inspiring setting of the Tudor church of St George, Esher. October and November are full of exciting things here at St George’s. On October 13th the ever popular Big Draw returns to encourage everyone to join in. For those who have not come across the Big Draw before, a little bit about it and what our theme is this year. 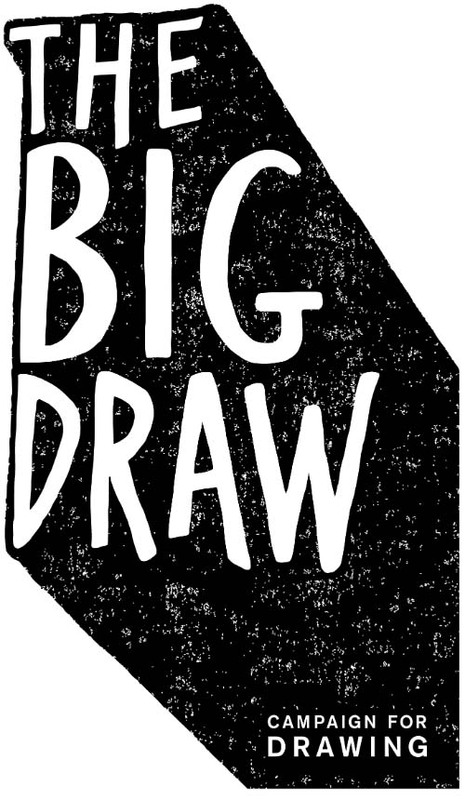 The Big Draw is a popular annual drawing project, taking place every October at venues in twenty different countries worldwide. Artists Richenda Court and Rebecca Price will be on hand to inspire everyone to draw using a variety of materials. 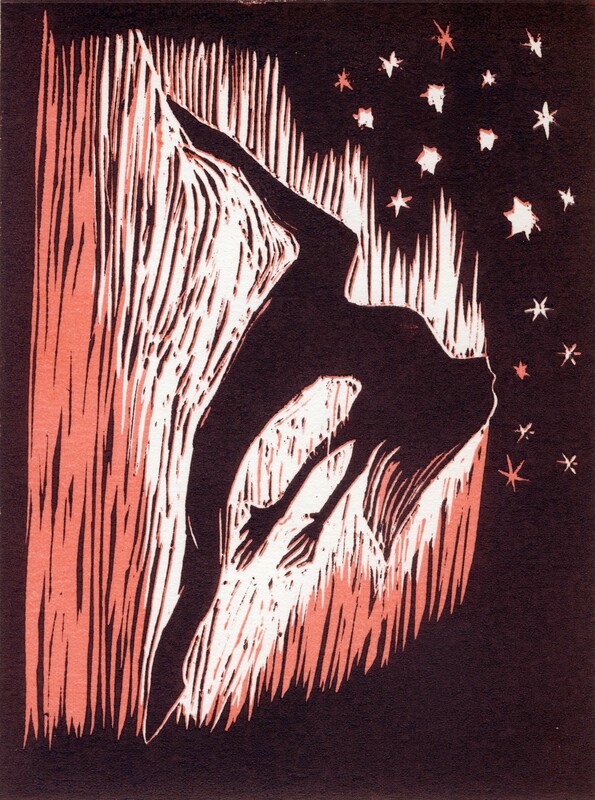 The theme this year is ‘My Favourite Story’ and finished works can be entered for the Look:Hear Youth Art Competition. So join us at St George’s to make your mark and rediscover what fun drawing can be! 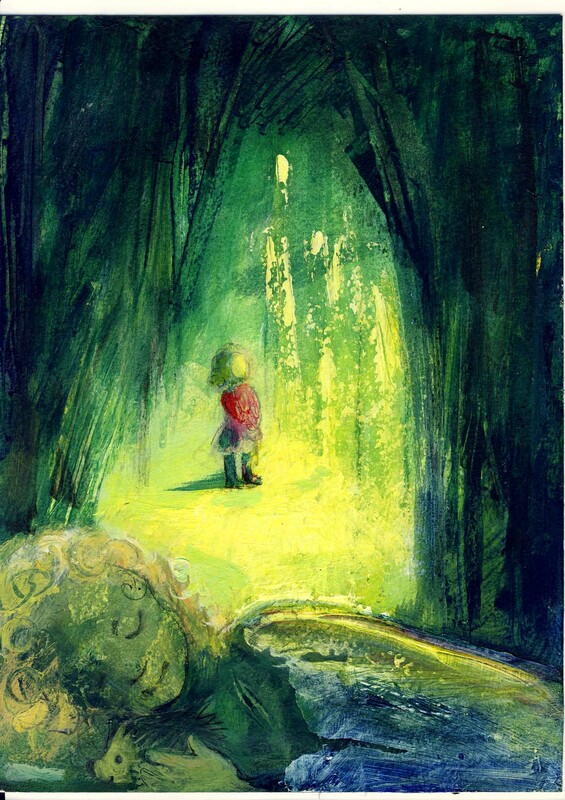 As part of the Look:Hear Youth Arts Festival, Elmbridge Borough Council, The R C Sherriff Trust and St George’s Arts invite young artists to enter an art competition on the theme of ‘My Favourite Story’. We are looking for artworks that use texture and colour to express the atmosphere of the story, rather than just literal interpretations or copies of existing illustrations. Prizes will be awarded to winning entries and the best work will be exhibited at St. George’s Arts in November, as part of the Look:Hear Festival.. The closing date for entries is 26 October 2012. If you would like to have your artwork returned, please also include a SAE. 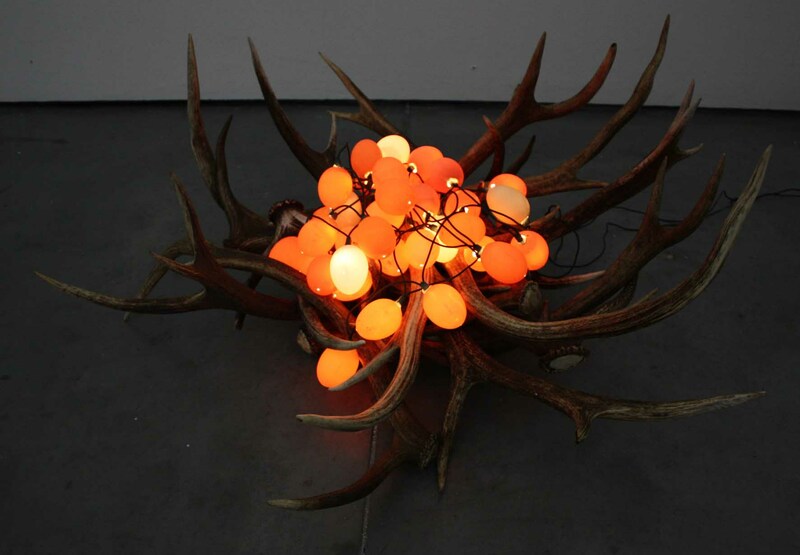 Judging will take place at the beginning of November and the winning entries notified by 9 November. An exhibition showcasing the best of Elmbridge’s young artists, as part of the Elmbridge Youth Arts Festival. The exhibition will include all the winners of the Tale-Spinners Art Competition and also work done by students from Hinchley Wood school at Richenda Court’s ‘Dance Signatures’ workshops earlier this year. ‘Modern Madonnas’ is an exciting new group exhibition taking place in Esher during May and June. St George’s Arts has chosen thirteen artists from all over Britain, whose works provide a thoughtful response to the relationship between mother and child. Set in the beautiful setting of St George’s Church, Esher, which, over the past five years has been building its reputation as a showcase for cutting edge art, ‘Modern Madonnas’ includes paintings, prints, photography, video, sculpture and installation. Considering how many people become parents, it is perhaps rather surprising how rarely this theme is used today by artists. So it is refreshing here to see original ideas covering all aspects of motherhood. 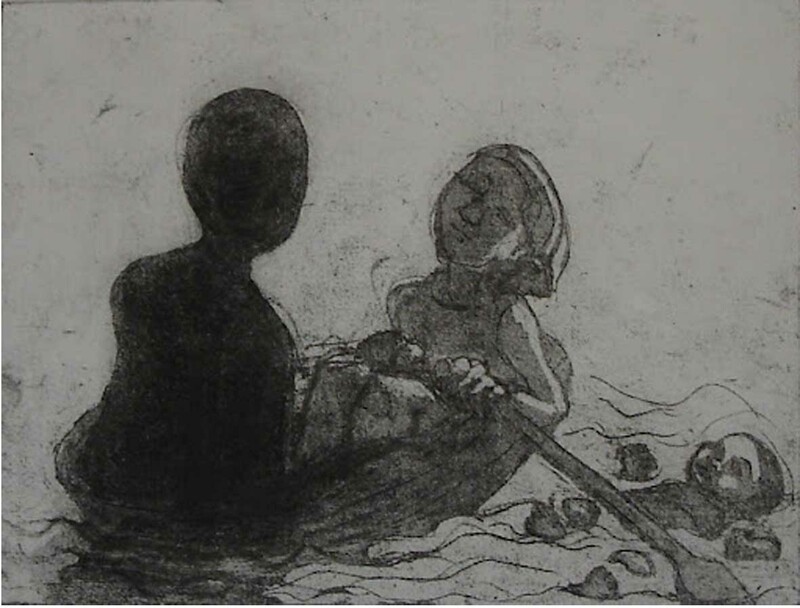 While some will be intrigued by Jean Thompson’s dreamlike etchings, (is the couple in the boat abandoning their baby in the water, or rowing out to save it?) others will relate to Tracey Kershaw’s images of a child’s fingernails being cut, representing the passage of time. As parents, we are so caught up in the routine of everyday life, that we often lose sight of the fact that our child is growing up, only becoming aware of this when we carry out these mundane rituals. Meanwhile, in ‘Eating Eggs’, Maggie Rose has filmed herself eating an egg, and then run it backwards. The result looks like a conjuring trick as she manages to produce a perfect egg from her mouth, but is this really so different from the miraculous act of giving birth to a baby? ‘Modern Madonnas’ runs from 26May – 17 June, 11am-3pm Mon-Sat, excluding bank holidays. For more information, or to book for the workshops, emailst.georgesarts.esher@gmail.com, phone 01372 464881 or visit https://stgeorgesarts.wordpress.com. St George’s Arts, St George’s Church, Esher Park Avenue, Esher KT10 9RQ, is near the junction of Claremont Lane (the A244) and Esher Park Avenue, behind the Bear Public House.